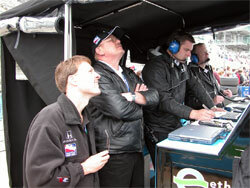 To get you in the Indy mood today, here’s an interview I did on Ethanol Day with the number 17 car driver, Jeff Simmons. 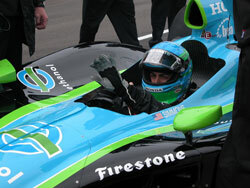 It’s time once again for an Indy week interview. This time it’s with Tom Branhan, CEO of Glacial Lakes Energy, a farmer-owned ethanol plant in Watertown, SD. As we work our way closer to the Indianapolis 500 I’ve got an interview for you to listen to today with ICM CEO, Dave Vander Griend. 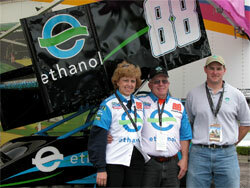 Dave is a founder of the Ethanol Promotion and Information Council. 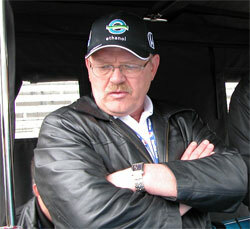 His company is a design/engineering firm for ethanol plants. A new organization is just getting itself started to “Promote Clean and Secure Energy for Transportation.” It’s the Transportation Energy Partnership (TEP). The Executive Director is Thomas Gross, former Deputy Assistant Secretary for Transportation Technologies in the Energy Efficiency and Renewable Energy office of the Department of Energy. Tom spoke at the recent Clean Cities Congress and I recorded his remarks. It’s the final week before the Indianapolis 500. Time to get revved up. I’ll be heading on over later this week. On Thursday the IRL is having an Ethanol Forum which will feature speakers like IRL founder Tony George and USDA Under Secretary for Rural Development, Tom Dorr. I’ll report on it for you right here. 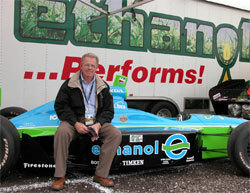 At Ethanol Day in Indianapolis recently, Steve King, sprint car driver, was there to help promote the alternative fuel. He brought his number 88 for us to see. Steve is pictured to the right of his parents, Danny & Naomi. Since we want to rev you up about the Indianapolis 500 coming up in just over a week you might want to check out a great story in USA Today about Jeff Simmons, the driver of the Rahal-Letterman ethanol car. The big award winner at the Clean Cities Congress was Johathan Overly, Executive Director of East Tennessee Clean Fuels (right). 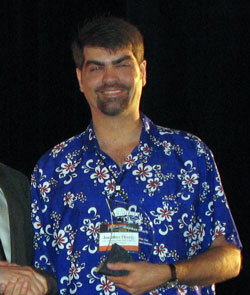 Jonathan won the Clean Cities Coordinator of the Year award.